A delayed holidaymaker is taking on the airline industry in a case which could be a landmark for thousands of disgruntled fliers. Company director Ron Huzar, 58, from Offerton, Stockport, endured a 27-hour delay with his wife and 12-year-old diabetic granddaughter on a flight from Malaga to Manchester Airport in October 2011. 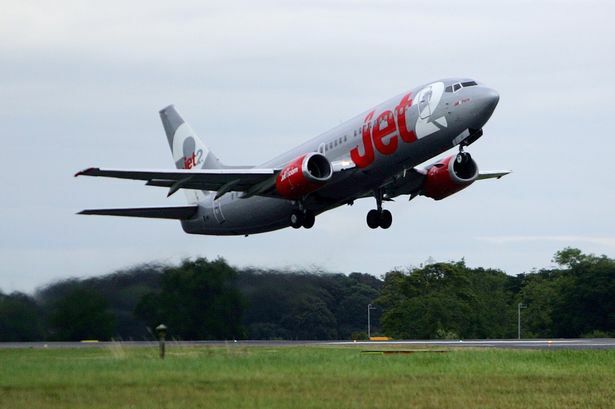 The father-of-three issued legal proceedings against Jet2 but his compensation claim was turned down at Stockport county court. Mr Huzar however successfully appealed at Manchester county court and the case is now due to be heard today at London’s Royal Courts of Justice after Jet2 lodged an appeal. The case, which his solicitors believe could open the floodgates for delayed passengers to claim compensation, will decide whether a delay due to a technical defect on a plane can be considered to be an ‘extraordinary circumstance’. Current regulations entitle passengers to compensation if a flight is delayed by more than three hours – unless caused by an ‘extraordinary circumstance’. The delay to the Manchester-bound flight was caused by a wiring defect in a fuel valve circuit. His legal team said the court ruling could affect 2.6 million passengers per year. Mr Huzar said technical faults were ‘inherent in the running of an aircraft’ and should therefore not be considered an extraordinary circumstance. Kevin Clarke, an aviation lawyer at Wilmslow-based Bott & Co, said the judgment would ‘set a binding precedent’ and argued that the extraordinary circumstances clause was for events like the volcanic ash cloud crisis of 2010. He said: “The airlines are insisting on twisting what should be a very straightforward point of law. In Germany and Holland there have been thousands of cases settled over this very issue. It is widely accepted there that a technical defect is not an extraordinary circumstance under the terms of the regulation. A Jet2 spokesman said: “As EU legislation on passenger rights currently stands, neither customers nor the airline industry have clarity on the situation. We regret this ambiguity, which has caused so much confusion for travellers. “This case, which could have a significant impact on the entire airline industry, shows that there are no easy answers. That’s why we are appealing the judge’s decision and are supporting the ongoing review of EC 261 to make the air travel rules fairer, clearer, and simpler to apply. Flight delay compensation in Australia?